Grab your group and join us for this complimentary pre-show mixer for groups of 10 or more. 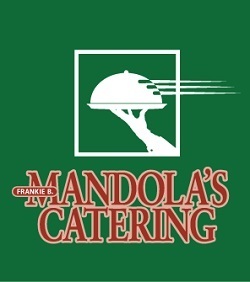 Mix and mingle with members of other theatre-loving groups while enjoying music, complimentary cocktails and appetizers provided by Mandola’s Catering. Tickets are $28. InterACT is a great way to mix and mingle prior to seeing the performance. Treat your group to an evening of fun and come interact with the Alley – space is limited so call today! Contact the Group Sales Department at 713.315.3346 or email groupsales@alleytheatre.org to purchase tickets, inquire about group rates, seat availability, easy payment options and flexible payment due dates. If you have a promo code, click the Buy Tickets button below and enter your promo code. Winner of the 1981 Pulitzer Prize and New York Drama Critics Circle Award, Beth Henley’s first play brings you to the Mississippi home of the Magrath sisters.Warm-hearted, irreverent, and imaginative, Crimes of the Heart teams with humanity as the sisters forgive the past, face the present, and embrace the future. Renowned Director Theresa Rebeck returns to the Alley to direct.